Where to begin! The Prescott area is blessed with four distinct seasons and an abundance of plant choices for every style of landscaping. Within the tri-cities area are countless microclimates. Elevations differ by several hundred feet. The amount of sun an area receives is affected by trees, site orientation and surrounding hills. Because of this, an experienced landscaper can help determine the perfect plantscape for your property. When selecting plants, it is important to know how the space will be used. Whether creating residential or commercial landscaping, plantings need to fit their purpose. A front entrance might be updated for the sole purpose of providing curb appeal. A garden that is meant to be enjoyed through a window can incorporate thorn-bearing plants that would be inappropriate for a play or pet area. Xeriscaping is popular in Arizona. Including plants that naturally grow in this area makes for an easy-care landscape. Native plants were once hard to find in local nurseries, but that is no longer true. Our area nurseries work hard to find wildflowers, shrubs, vines and trees that are suitable for our growing areas and, with proper maintenance, will remain attractive in every season, for years to come. Jeff's Landscaping & Yard Service has access to regional wholesale nurseries that carry hard-to-find plants not usually available in hardware/garden stores. Other considerations in plant choice include ones that attract birds, are sculptural, provide shade/home cooling, are inviting after dark, provide fragrance (roses), and plants that provide food. Utilizing the experience of a designer is very helpful in creating a landscape setting that has year-round excitement, interesting textures and colors as well as proper scale for the space. View some examples of plants we have planted. Would you like to obtain more information about plants for your outdoor space? Call Jeff's Landscaping & Yard Service toll-free at (877) 820-0863 or Request a Quote directly from our website. 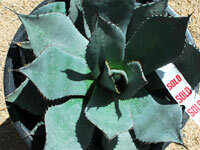 We also offer a list of low water use and drought tolerant plants.